We hope you find the March 2019 edition of the Community Game Update useful. If you have any feedback, queries or content you would like featured, please email Turia Keene, RFU Senior Communications Manager (turiakeene@rfu.com). In December 2018, the RFU advised you of upcoming changes to the method for International Ticketing Allocation to the game. The original communication can be found here. So far this season 340 clubs have used the Team Management module in GMS to record 15-a-side fixtures and results. This does not include matches in a variety of competitions, such the RFU leagues, which are recorded automatically in a club’s total of matches played. If your club hasn’t done so already, we strongly encourage club administrators to ensure that fixtures are accurately entered via the Team Management module so that these fixtures can be attributed to your indicative allocation at the end of this season. The deadline for completing data entry is the end of the current season. Further information, including user guides and tutorials, can be found via the GMS Hub here. Over the next few weeks the RFU will update the Team Management module to improve further the process of creating and recording fixtures. More information on these updates, including updated user guides and tutorials, will follow. Additionally, we encourage all CBs to have competitions’ organisers within their counties use the Competitions Management Tool. By doing so all such results will automatically be credited to the participating clubs and save those clubs having to enter details of the fixtures into their Team Management Tool. Further information, including user guides and tutorials, can be found here. Competition organisers should speak to their CB, who will have an individual familiar with using the tool, for further support and guidance. 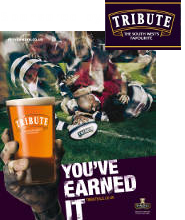 This year we will again run our ticket offer of 100 free tickets for CBs at the 2019 Quilter Cup on the 3 June 2019 where in addition to the Gill Burns Cup and the Bill Beaumont Cup, we are proud to be hosting both a Men’s XV and Women’s England teams against the Barbarians. As part of the RFU’s commitment to grow the game through the transition from age grade rugby to the adult game, the RFU are offering each CB 100 free tickets to watch the Red Roses take on the Barbarians for the first time at Twickenham, followed by an England XV v Barbarians in the Quilter Cup on 3 June 2019 at Twickenham. The exclusive offer was created to allow CBs to use the tickets as a reward and an incentive to keep players aged 18-24 within our game. All CBs need to do is to communicate this to their clubs and allocate tickets to those players aged 18-24 that have returned to rugby or transitioned from age grade to adult club rugby across the season. Interested clubs can then submit their player lists to their respective CB. CBs will send, check and agree distribution to players. There is the opportunity for a small number of relevant coaches / volunteers who have done great work with this age group to receive tickets as a reward. Once each CB has decided who is awarded the tickets, they can distribute their free tickets to the relevant club, volunteer, player, or deserving individual. For further information on this opportunity, please contact the ticketing team via the Ticket Help link. The payment of players declaration is due to be submitted between Friday 1 March and Sunday 30 June 2019 and is mandatory for all clubs (Level 3 and below) wishing to be eligible for RFU benefits. The declaration covers the period of 1 June 2018 – 31 May 2019. A list of FAQs can be found here and a guide on how to submit the declaration can be downloaded from here. For any queries around Payment of Players, contact PaymentofPlayers@rfu.com, and for any player registration queries, contact PlayerRegistration@rfu.com. NatWest RugbyForce helps grassroots rugby clubs up and down the country attract new members and become stronger and more sustainable for the future. Clubs that register for NatWest RugbyForce 2019 can look forward to receiving a host of exciting rewards and benefits, including £3,000 grants (six available), £500 grants (425 available) and online toolkits, to marketing and communications advice as well as access to special offers. The deadline for submission is Sunday 17 March 2019. For more information on the programme and rewards available, click here. Optimum Nutrition has become the official performance nutrition and official nutrition education partner to England Rugby, providing products from its Informed-Sport tested range to the England senior men’s and women’s XVs and sevens squads. Working together, England Rugby and Optimum Nutrition will co-create a “good nutrition for performance” education programme aimed at community adult and age-group rugby players, coaches and parents in England to help them get their nutrition right, focusing on a ‘food first’ philosophy and the value of the supporting role of nutritional supplements. The programme will be brought to life via a content series that will be published on a digital hub on EnglandRugby.com ahead of next season. Included in the programme will be nutrition plans and advice, game preparation and recovery tips, recipe ideas and toolkits for coaches, as well as information on the role of supplements. Optimum Nutrition will also produce products specifically for community rugby players, the first of which will be a rugby focused variant of “Gold Standard 100% Whey Protein” which will aid muscle recovery. For more information on the partnership, click here. To ensure that rugby union really is a game for all, the RFU is committed to embracing and promoting diversity and inclusion. We want to reach all potential players and increase the number and breadth of volunteers to support this growth in the game. We can’t plan for the future, however, without understanding the current situation in the game nationwide, and to gain this insight we asked Oxford Brookes University to produce an anonymous online survey. I would like to appeal to everyone who hasn’t already done so to complete this survey. You are an important part of a future which embraces diversity and inclusion in our sport, and we really can’t take this forward without your input. Please do help us by visiting and completing the survey and we will keep you updated on progress. Complete the survey here. Clubs and schools are eligible for 2 for 1 entry to the World Rugby Museum and Twickenham Stadium tour until Wednesday 31 July 2019. The discount is available to group bookings of 20 or more people. For more information on the museum, click here and for bookings please contact museum@rfu.com.